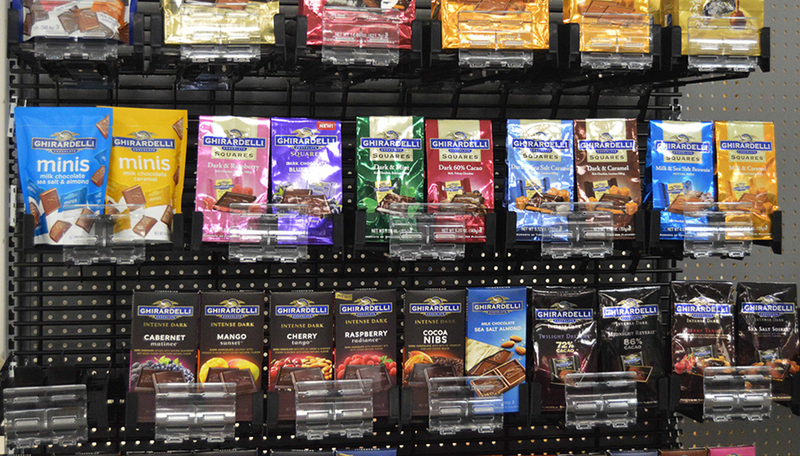 Maintain the attractive appearance of your candy display with advanced candy display rack solutions for bagged, narrow and wide product packages. These larger packages can be a problem for conventional shelving or pegs to display attractively. SpaceGrid HiGlide systems solve that problem and can give your bagged candy sales a 10% lift. Give these higher-end products the good-looking display solutions they deserve. Attractive to shoppers of all ages, candy aisles can quickly become disorganized and require frequent conditioning. 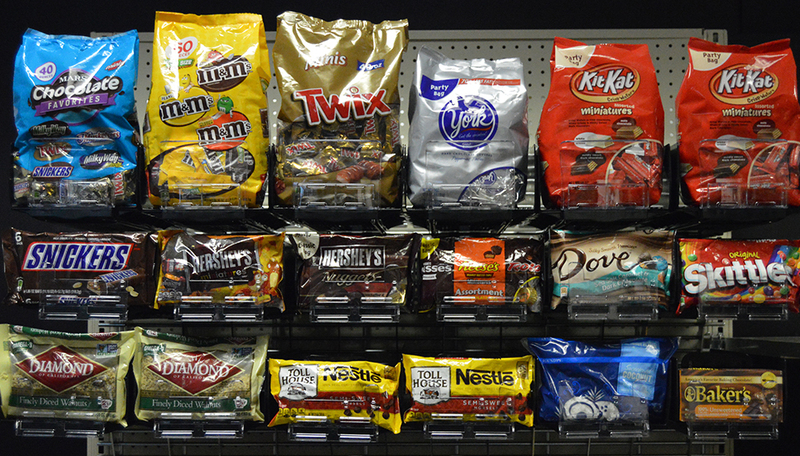 Keep your candy aisle looking neat and attractive with a Retail Space Solutions product display solution.